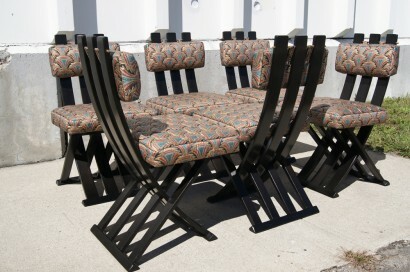 This X-base dining chair by Harvey Probber features a stationary design that mimics a Campaign style chair. 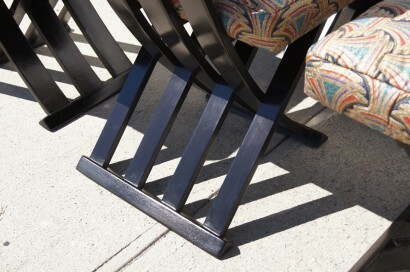 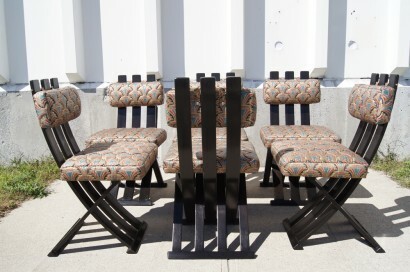 The removable headrests hang from a brass rod at the top that links the slatted frames and complements the dark mahogany. 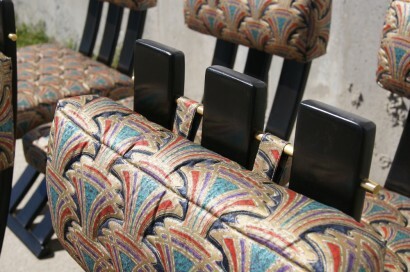 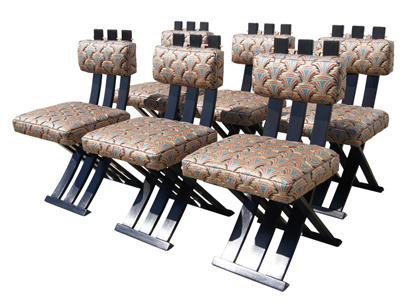 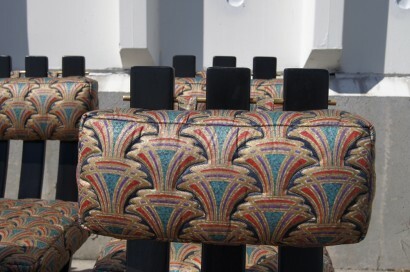 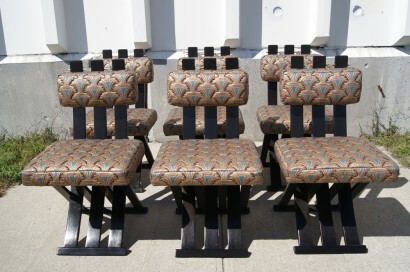 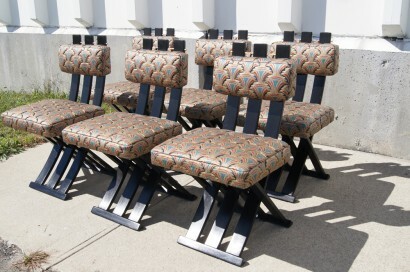 The seats and headrests of this set of six are upholstered in a fan-printed textile that is in excellent condition.